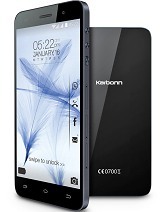 Phone is very good in terms of design (very thin), processing power and excellent display. But Camera is very bad. Even though the spec claims 8 mega pixcel, quality of photo is much worse than 2 megapixel camera. battery is 1800mah which is less. if phone is not in much use for playing/reading etc. battery lasts 2 days on average. AnonD-30826, 15 Jun 2014who told u freind.i've played fifa 14,thor,asphalt and many other hd games and its benchmark s... morehi bro from where u got this games i want to..
akhil, 23 Feb 2014hey everyone i wanted to buy this phone. could someone suggest from his first hand experience... morebrother i bought this phone one month ago. and till now there is no single instance of hanging. excellent speed. battery also gives good backup. only problem is of earphones quality. chaman bhardwaj, 11 Jun 2014bro u cannot play games for 1 hour coz the display screen heats up very quiclky. its a very ba... morewho told u freind.i've played fifa 14,thor,asphalt and many other hd games and its benchmark score it better than grand. Front camera is shaking while taking photo. How can it be solved. Please give me suggestions . Raj, 10 Jun 2014Hi friends, can anyone give me your suggestions about the battery life of s5plus. how long the... morebro u cannot play games for 1 hour coz the display screen heats up very quiclky. 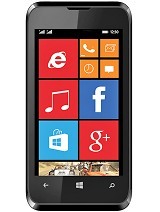 its a very bad and stupid mobile.... dont waste ur money by purchasing this mobile. 3. Used to talk for 2 hours a day. Please give me an idea frnds. Guys, this phone is very light weight and very slim.and The big problem is that - In manage apps it is not showing SD CARD. at The place of sd card IT is showing "PHONE STORAGE" even I have inserted 8GB mem card it shows that 30 mb used< 1.1 gb free in PHONE STORAGE. Apps can not be move 2 sad card. And The very biggest problem is WE CANNOT PLAY HD GAMES LIKE GTA,fifa nfs,only v can play Adventure and quiz games.This mobile is for only for Apps not games.NO GAMING.....! !